Academic degree: Candidate of Technical Sciences, Department of BM&T. Biography: On December 31, 1967 he born in the city of Karaganda in the family of workers on. A citizen of the Republic of Kazakhstan. From September 1992 to September 1996 – was Assistant of the Department “Technology of building materials and products” (TBMaP) Karaganda Polytechnic Institute. In 1992-1993 served as the head of the student construction teams of the Faculty of Civil Engineering KarPTI. Since 1996 – Senior Lecturer at the same department. From 2001 to 2004 – Deputy Dean of the Faculty with a short term of study at KSTU. Since 2002 – Associate Professor of the TBMaP. In 2004 – the executive secretary of the selection committee of KSTU. 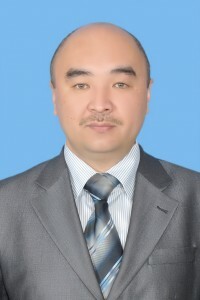 Since September 2004 – Head of the Department “Technology of building materials and products.” In 2005, he completed theoretical training in the advanced training program for quality-accredited units of higher professional education organizations on the subject of “Quality Management Systems for ST RK ISO 9000:2001 Series” and “Internal QMS Audit”. In January 2001, he defended his dissertation on the topic and “Technology and properties of vibropressed paving elements based on modified fine-grained concrete”. The academic title of associate professor in the specialty 05.23.00 “Construction” was awarded to EaSMC RK in June 2008. The field of scientific activity is the technology of modified concrete products. In 2008 he was awarded the Diploma of Akim of the Oktyabrsky district of the city of Karaganda FOR achievements in teaching, scientific, methodological and research work.